Since mid-2008, the economy, consumers, and the restaurant industry have been in the vice grip of the country's deepest and longest recession since the Great Depression. Finally, a light at the end of the tunnel is beginning to emerge. Most economists are now saying we have reached or passed the bottom. While the going is certainly still rough, business conditions are beginning to improve, unemployment is stabilizing, and consumers are dipping their toes back in the spending pool. Capital flow is increasing, with equity investors coming off the sidelines and lenders beginning to seriously pursue new debt facilities for borrowers. The economic recovery will bring increases in consumer spending, restaurant traffic, transaction counts, and sales levels. However, we do not expect a rebound to pre-2008 levels. Just like the broader economy, the restaurant industry faces a new reality, and operators who approach it with a flexible, creative mindset will prevail. Survival of the fittest--The economy is recovering, but the current shakeout is not over in the restaurant industry. We will continue to see closures, balance sheet restructurings, and bankruptcies in the near term. Unit growth will slow considerably and consolidation will continue. The winners and survivors will typically be larger, well-established concepts with the brand, marketing, and advertising strength to drive traffic from today's fiscally conservative consumers. Focused concepts with a strong "local" presence and the ability to differentiate their brand from national competitors will do well. Operators should micro-manage operations and realize that a significant portion of near-term growth will come from acquisitions and/or conversions. For well-capitalized, opportunistic acquirers, the market will be quite ripe. Brands that develop and execute an effective acquisition strategy can take advantage of the current downturn and pursue a growth strategy with lower unit investment, more predictable cash flow, and compelling unit-level economic returns, with more upside when traffic rebounds. Value proposition, differentiation, and segment migration--Consumers' focus on value will remain and is a shift in behavior that must be addressed. Concepts must effectively communicate their value proposition and become "top of mind" when consumers evaluate their choices. Offering value in terms of price is very important and will be critical to success, but the most successful brands will develop a value strategy that encompasses more than just the lowest price. To differentiate their brand, concepts also must provide exceptional value in service, menu quality, and experience. Segment migration will continue as consumers shift between fine dining, casual, quick casual, and QSR brands. 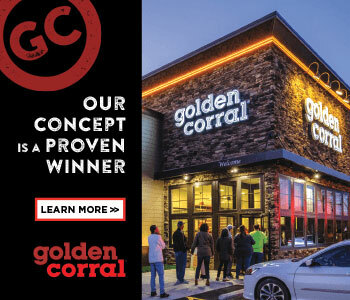 An upscale quick casual concept can benefit from migration from both casual dining and QSR if the concept can successfully satisfy new consumer value expectations in terms of price, service, and quality. Debt capital markets--As has occurred in prior recessions and recoveries, the debt capital markets will evolve to align with the new post-recession economy. In the next 18 months, restaurants will see significant evolution in debt capital sources. The conventional industry financing sources have curtailed lending activity; some have even shut down operations. While some of the long-term players will return, new groups will emerge. Be flexible in working with old sources of capital while embracing these new ones.Understand that all will be operating under new, stricter standards in loan underwriting and credit management for the foreseeable future. Timing on capital structure approvals and closings will be extended. From an underwriting perspective, lenders will place heightened emphasis on historical performance, especially sales and costs trends, which will trump projections. Secondary sources of repayment will be reviewed and analyzed and required equity contributions will increase. Borrowers should expect higher interest rate spreads, increased fees, tighter covenants, and more frequent monitoring of financial statements and business performance. Equity capital sources--Equity capital will become a more critical and necessary component of restaurant company business plans than ever before. The ability of restaurant companies to expand solely by monetizing existing operations will be limited; they will be well served to embrace outside equity and financial partners, particularly for expansion. Franchisors must reconsider their view on external equity partners (e.g., private equity) in their franchise system and take creative approaches, as some have already done in creating in-house funds to promote system growth. Concepts that are flexible in welcoming new equity and junior capital will be able to achieve higher growth, new brand participants, and expansion. The restaurant industry has been in survival mode for the past 18 months or longer. Unfortunately, some have not survived and others will continue to struggle. Those still operating will have a new reality to face--and embrace. They must be flexible in adapting to the new reality, and not forget what has allowed them to remain standing: running their business with a solid team and making their brand and units the obvious choice for today's cautious customers. Those operators who are on the front end of the curve and opportunistic will come out the other side as industry and market leaders.